LOCATION! LOCATION! LOCATION! This vacant commercial property is zoned for planned development-mixed use and is ideally seated less than a mile from I-75. This property's proximity to I-75 makes it convenient to Lakewood Ranch, St. Pete, Tampa, 3 airports, and our beautiful gulf beaches! The interchange at SR 64 and I-75 has recently been reconstructed and on the northeast corner of the interchange a COSTCO will soon be anchoring a new commercial development. 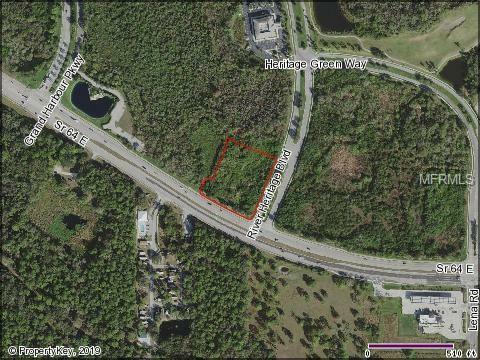 This property is 0.8 miles from the I-75 interchange and is a great location - don't miss out!